We don’t start another project until you are satisfied with yours. 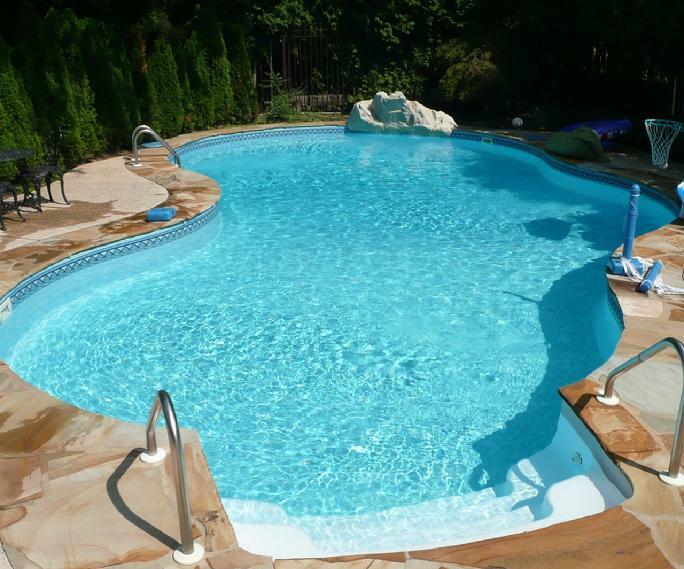 Opening your pool signals the start of warm weather and relaxed attitudes. Whether you’re emerging from a long snowy winter or a quick brush with cooler temps, opening your pool can be a simple process. For professional pool opening service contact us. Consistent maintenance is your best choice for avoiding trouble with your pool. Sometimes even the most well-maintained pools can experience a problem. This is because your pool is exposed to elements like wind and rain that can introduce algae, bacteria, mold and other contaminants. For professional pool maintenance service contact us. The following information can help you spot potential trouble. Green algae is the most common type of algae. If your pool water has a green tint and green deposits, you might be looking at green algae. Mustard algae shows up as yellow or brown deposits in your pool. It brushes away easily but returns quickly. Mustard algae also likes to infest equipment. Black algae grows on pool walls and ﬂoors, particularly in plaster pools. These algae have a heavy outer coating, so you will need to brush vigorously to remove it. If you have algae, consult G & S Pools for treatment recommendations. If the SoftSwim B level is too high, your pool water may smell strange or taste bad. The simplest way to ﬁx this problem is to let the SoftSwim B level drop on its own. Simply wait until the level is 30 ppm before adding more. BioGuard Polysheen® Blue in the water along with Sparkle-Up® for the ﬁlter. The second is to use SoftSwim Filter Aid & Flocculent. Foam has a number of possible causes. It could be an air leak, so always check circulation first. If that’s not the problem, it may be the result of excessive body oils, detergents or an overdose of SoftSwim A or B. The best cure for foam is BioGuard Anti-Foam. If there are not any slick deposits in pool water with a green tint, the problem is likely metals in the water. It could also be organic contaminants. Have your water analyzed to ﬁnd out for sure. If it is metals, you need to remove them right away or they could stain your pool and increase consumption of SoftSwim C. SoftSwim Stain Control is designed to “tie-up” metals and, in the process, prevent stains. Slime grows on pool surfaces. It shows up as pink or red deposits around lights, skimmers and in the circulation system. Mold looks like wisps of tissue paper and usually starts growing inside pipes, working its way into the pool. If you have mold or slime, consult G & S Pools for treatment recommendations. Closing your pool correctly is essential to increasing the life of your pool. For professional pool closing service contact us.